Play Teen Patti every day to earn free daily bonus. The more you play the more you earn. The daily bonus chips will increase on launching the 3-Patti app daily. Play consecutively for 7 days to earn maximum daily bonus. From 8th day onwards, player will get max bonus free chips if playing every day. The counter will reset to day 1 if a player skips a day to play. Link your Facebook account to save your progress lifetime. Install the “Teen Patti – Indian Poker” app by Octro & Get free 1,00,000 chips to play the game. Facebook Connect – Link your Facebook account and get free 2,00,000 more chips to play. 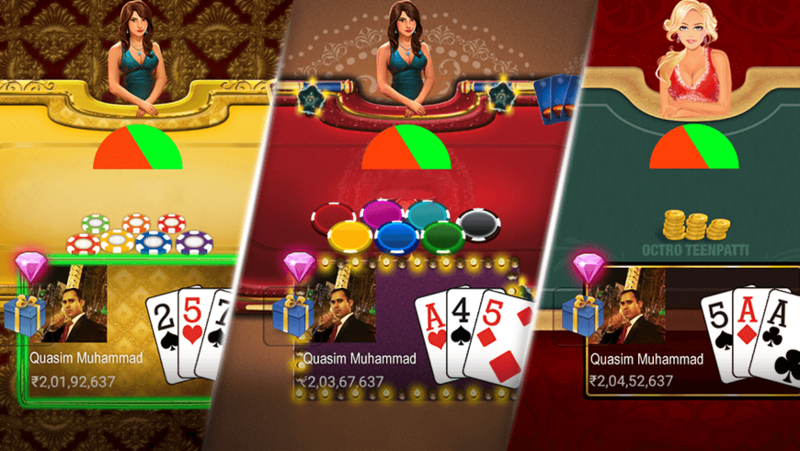 Get free chips on completing the Teenpatti achievements in the game. Bigger the achievement, Bigger the chips reward. Unlock the big achievement by completing the smaller achievements. Various themes to match your mood. 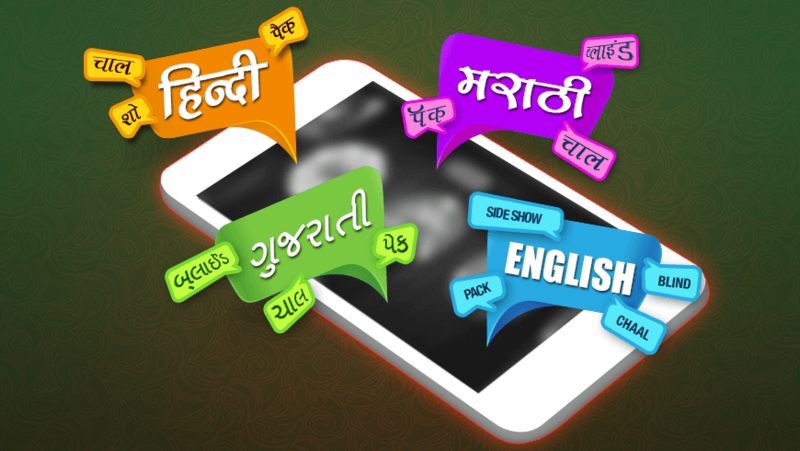 Play “Teen Patti – Indian Poker” in your own language. You can play Teen Patti in English, Hindi, Marathi or Gujarati. More languages coming soon. Go to settings to change the language on the app. Choose from a wide variety of avatars or import your own picture from Facebook. Chips – This is the main currency of the game which is used for betting during the game. Inviting/Referring a friend on ‘Teen Patti-Indian Poker’ App. Watching a video on the App. Diamond – Diamonds can be converted to chips instantly, even when you are playing. Players use diamond to convert them into chips at the time of play, so that they don’t get out of chips while playing (which otherwise would lead to force fold/pack).